Today's gorgeous nails of the day are courtesy of Nails Inc Gel Effect Polish. 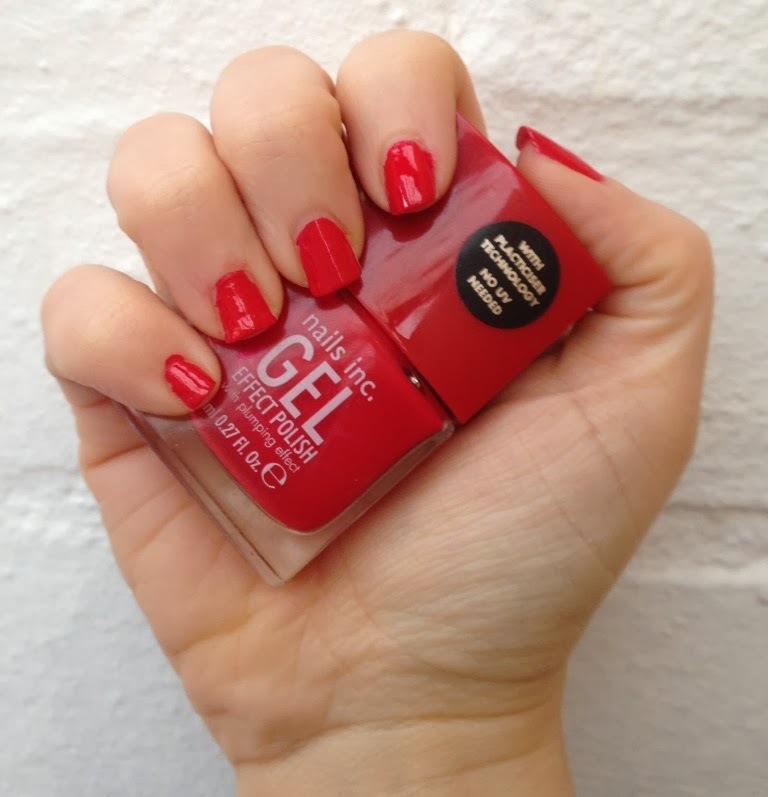 St James is a stunning bright red shade that looks gorgeous in the Spring sun. I applied two coats and it has a wonderful glossy finish.